To start with you need to consider your glass. 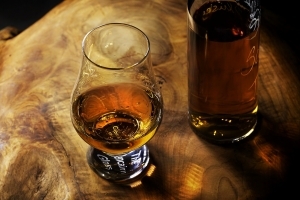 There are lots of types, like a Glencairn for Whisky a Cognac snifter or even Belgian beer glass! For me it is a Sherry glass. I start by looking. 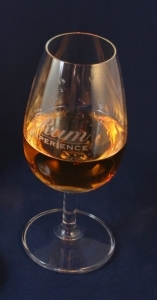 Colour is not that important as caramel can be added just like any food colouring but its worth looking to note what you see, especially if you know the full details of the Rum this can be useful. Next tilt the glass and if possible look at it with a white background. Swirl in the glass and tilt back to look at the “legs”. The slower the legs the higher the alcohol usually. You can learn more about the science of this by reading about the Marangoni effect. Now you have looked at it, it’s time to nose. Take short quick sniffs, moving the glass between both nostrils. A tip taught to me is to smell the back of your hand in between sniffs to reset your nose, assuming you have not got a heavy perfume/aftershave on. Finally taste. 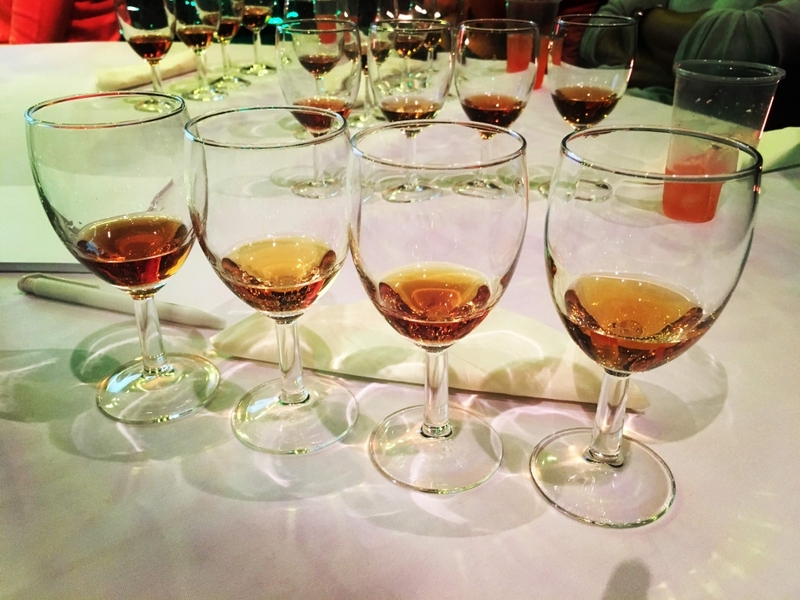 In order to maximise your palette, swirl around the first sip in your mouth, then you will really taste on the next sip, look out for sweet, bitter, acidic and spicy. After the taste comes the finish. This is the aftertaste that comes once you have swallowed the Rum. Think, is it short or long? This is where preference comes in. The most important thing is take your time. In order to clean your palate in between tastes some recommend a cracker or bread or even a tiny piece of 100% cocoa chocolate! Definitely drink some water. With all of this it is important to note what you had for your last meal and what you have been drinking etc. Point of reference is so important as well. If you have never smelled vanilla you will not pick it up in the nosing. If you have never tasted molasses you will not be able to say that is what you are tasting. One other suggestion that has been made to me is try to build up my aroma knowledge base with vanilla, caramel, banana etc or splash out on Aroma Rum kit.